The charming island of Alicudi is just off the coast of Sicily and is the inspiration for this lovely bedding ensemble by Signoria di Firenze. 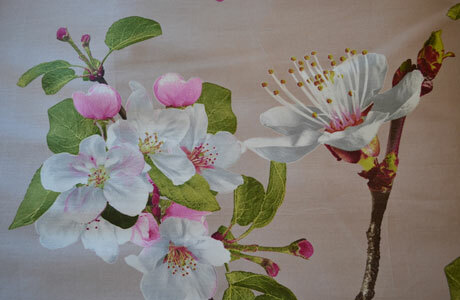 The delightful design of flowering tree branches is printed in pinks and greens on ivory or mauve background. 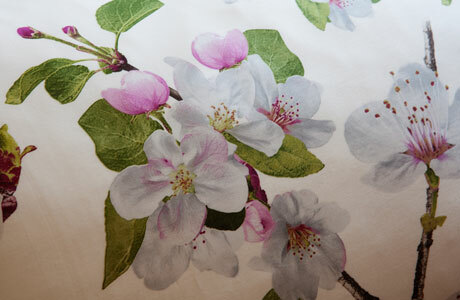 The duvet cover reverses to ivory or mauve solid sateen. ALICUDI is custom made to order with shipment in 4 weeks. Orders for custom bedding may not be cancelled, returned or exchanged. Combine ALICUDI printed duvet cover and shams with RAFFAELLO solid sateen sheets or choose from the quilted MASACCIO coverlet and shams.